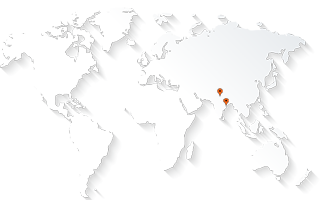 AABSyS, has more than 17 years of experience of rendering top-notch GIS Services, CAD services, GIS Software Services. AABSyS follows strict timelines and quality assurance procedures to ensure time bound, cost effective and flawless services. The company has a wide range of expertise in GIS, CAD and Software sectors. This unique position of a large pool of knowledgeable resources in all the three sectors ensures that the projects are executed in innovative and dexterous manner. AABSyS has ample work experience in working on large volume of GIS and CAD outsourcing projects, AM/FM applications, Utility Network conversion, Architectural plans and engineering drawings, GIS software services. AABSyS also has rich experience in working on Photogrammetry and Remote Sensing projects. AABSyS client list boosts of many internationally renowned companies in the fields of navigational mapping, utility mapping, drafting and designing etc.